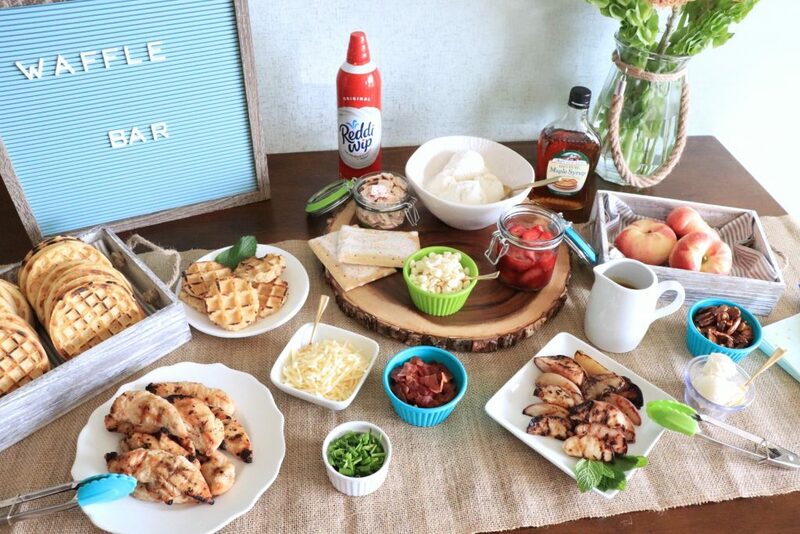 When planning a Waffle Bar, it’s a good idea to come up with a few recipe ideas, and get all of the ingredients you need for those. Then, let your guests go from there mixing and matching to what pleases their palettes the most! 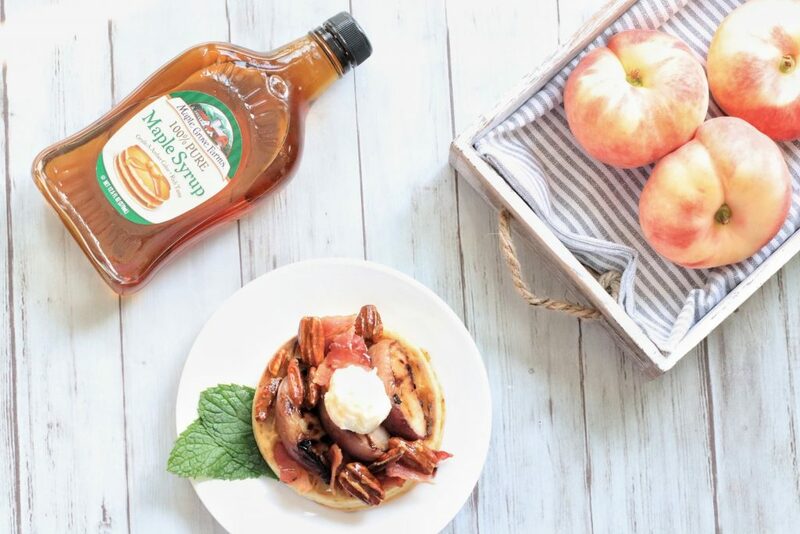 Grilled Peach Waffles with Mascarpone Cheese – Kellogg’s Eggo Homestyle Waffles topped with grilled peaches, mascarpone, bacon, praline pecans, and maple syrup. Grilled Chicken & Waffles -Kellogg’s Eggo Homestyle Waffles topped with grilled chicken, white cheddar, chives, and Honey Dijon Maple Syrup. 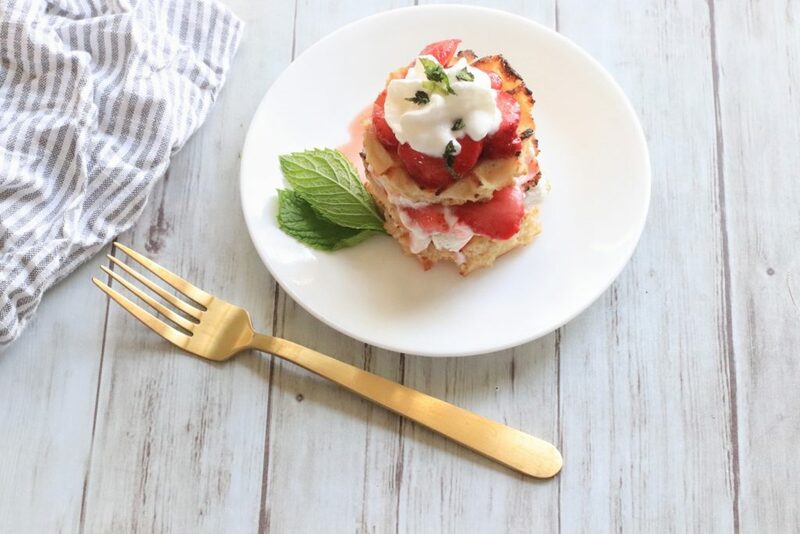 Grilled Strawberry Shortcake Stacks – Kellogg’s Eggo Homestyle Waffles topped with marinated strawberries, vanilla ice cream, & Reddi-wip. 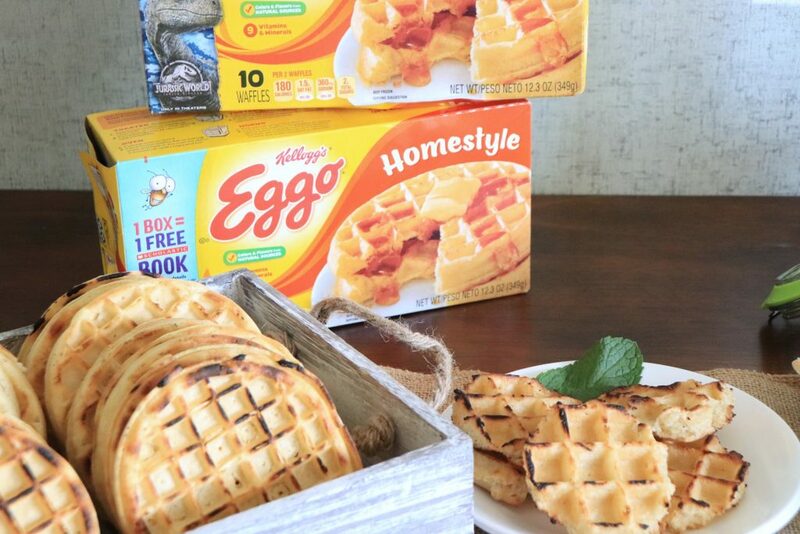 Click here to earn savings with Ibotta on Eggo at Walmart. First, I fired up my grill. While that was heating up, I got my table set up as much as possible. 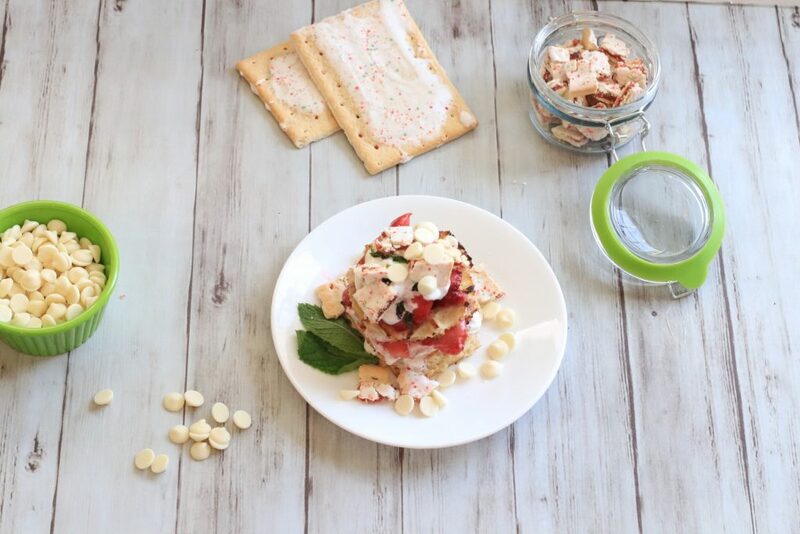 In small bowls I added crumbled Pop-Tarts Frosted Strawberry, Frozen Dole Sliced Strawberries, shredded white cheddar, praline pecans, scoops of mascarpone, white chocolate chips, chopped bacon, & chives. I also went ahead and made my marinated strawberries. I took about a half of a bag of Frozen Dole Sliced Strawberries put them in a bowl and simply added about a tablespoon of brown sugar. Mixed them around gently and that’s it! I’m using Maple Grove Farms Pure Maple Syrup for my waffle bar. 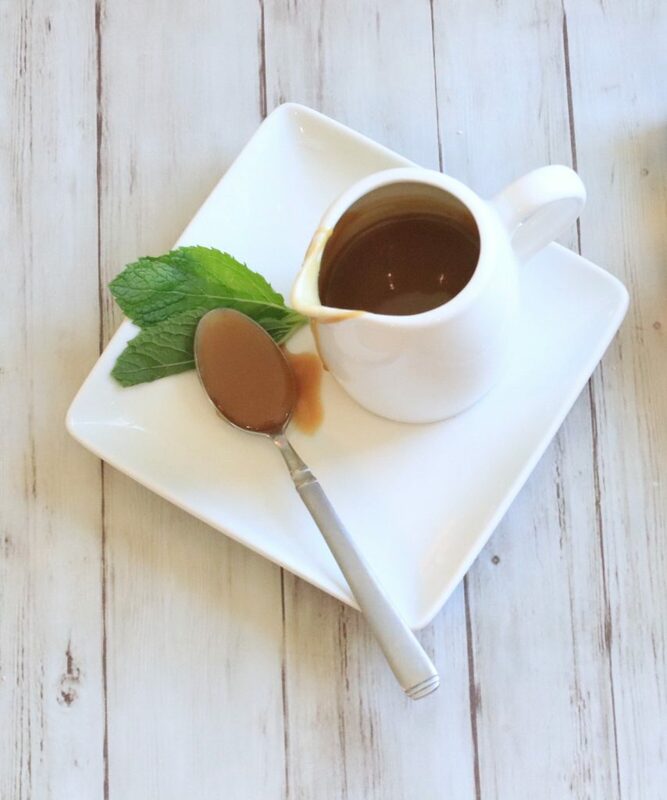 I love this syrup because you can literally taste the delicious simplicity, it has one ingredient! I put it straight on the bar right in the bottle, so everyone could drizzle as much as they’d like over top of their creations. It was especially delicious paired with the peach waffles. I also made a special Honey Dijon Maple Syrup with it. I added a cup of Maple Grove Farms Pure Maple Syrup to a small sauce pan on low heat. Then I added about a half cup of dijon mustard and 2 teaspoons of red wine vinegar. After stirring that well you can just let it simmer on low for about 10 minutes or until you’re ready to serve. Note: The sauce will get thicker the longer it sits. This sauce was sooo good though. Everyone raved about it. It’s sweet, but than the dijon gives it a little kick and the flavors are rounded out perfectly! I literally wanted to drink it straight out of the cup. By now the grill was properly heated up and I grilled the chicken and the sliced peaches. I took the waffles out of the freezer and let them sit for about five minutes before grilling. I also took some of the waffles and using a circle cookie cutter I made smaller circles for the strawberry shortcake stack. When it came to grilling, I wanted to save the waffles for last, so that they would still be warm! They held up amazingly after being grilled though. I think I could’ve even grilled them first. Once everything was grilled I placed them on plates right at the table, with tongs. Finally, I had just about everything laid out. I just needed to add the Breyers®Natural Vanilla Ice Cream and the Reddi-wip® Original Dairy Whipped Topping. Finally, it was time to eat. 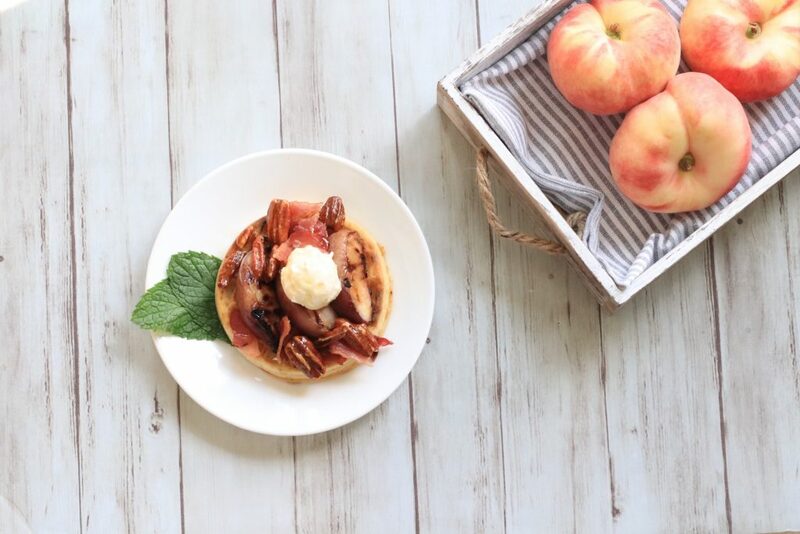 Placing a grilled waffle on my plate I topped it with three grilled peaches, chopped bacon, the praline pecans, and a scoop of mascarpone. Finally, I drizzled it with the Maple Grove Syrup. Starting with a grilled waffle, I sprinkled shredded white cheddar over top. It was still warm enough to make it melt. I put a piece of grilled chicken on top of that and generously added chives. Then, I poured the Honey Dijon Maple Syrup over the top. Finally, it was time for dessert! I placed a scoop of the ice cream on top of a mini waffle round, then i place another waffle round on top. Adding a layer of Reddi-wip and a scoop of strawberries. I put a third waffle round on top of that and then another scoop of strawberries, followed by a dollop of Reddi-wip and a sprinkle of mint! I also made one in the same form, but additionally topped it with some of the white chocolate chips and crumbled Pop-Tarts Frosted Strawberry! 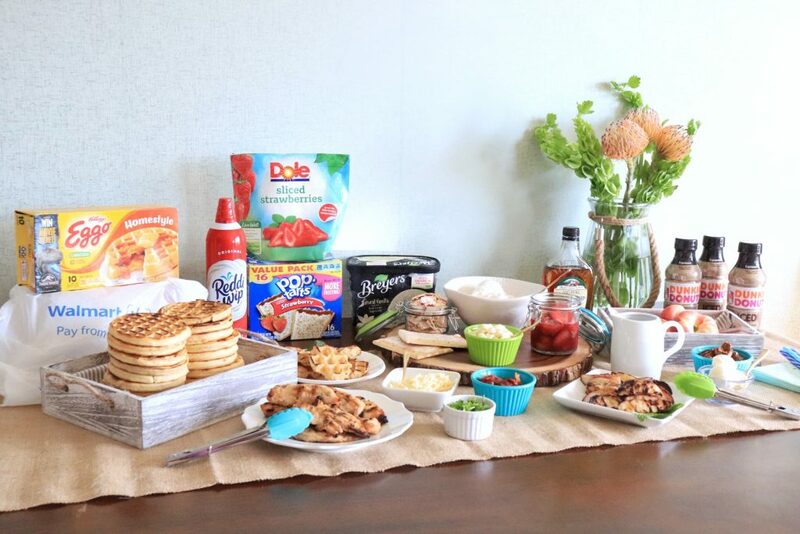 It was so fun to add the Pop-Tarts to the mix, they paired perfectly with the waffles! Eggo waffles have colors and flavors only from natural sources! They make a great meal for Breakfast, Lunch, or Dinner. Plus, there are so many different varieties of flavors available at Walmart. You can also use Walmart Online Grocery Pickup to make things even simpler! To get some more inspiration for your own waffle bar, check out The Eggo Waffle Truck at Wal Mart! It’s moving across the country! Head over to EggoWaffleBar.com to find a truck near you! It’s coming to my town next month, and I can’t wait to visit it! This is a FANTASTIC idea! I love the chicke. and waffles concept! Also…hosting a bridal shower soon, may try this! Thanks! Thank you! They were really good and no one even missed the “fried” part. 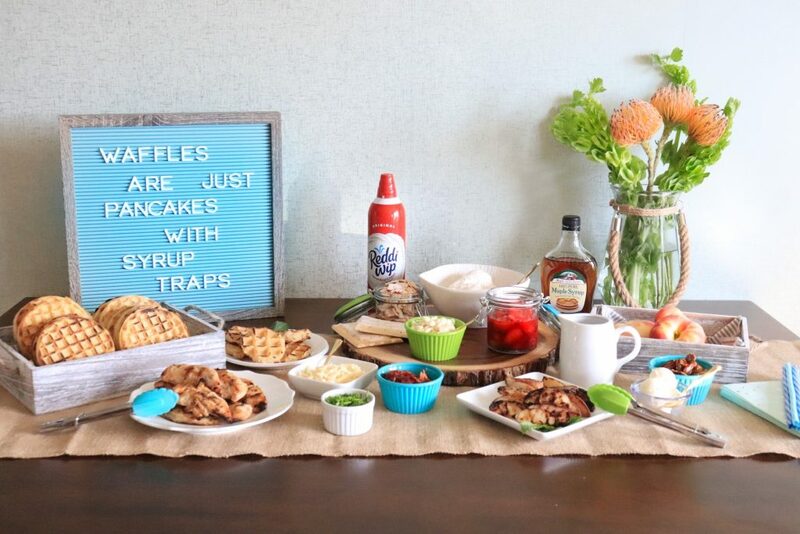 A waffle bar would be great at a bridal shower, I love that idea! Thank you! 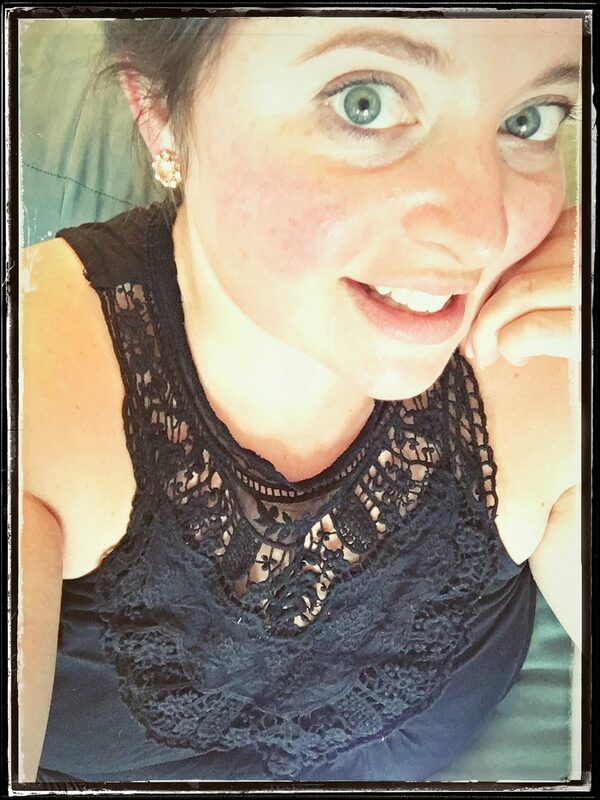 It was and so fun to make! Your waffle bar looks simply divine. 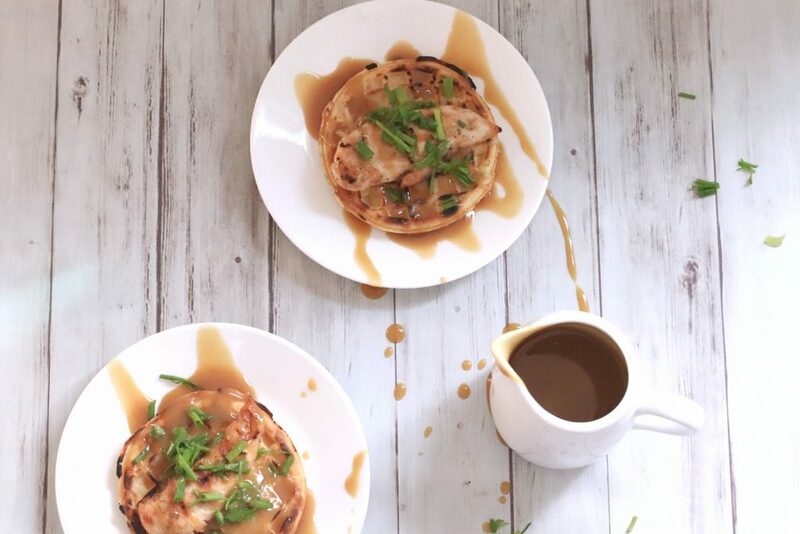 Love how you also incorporated a savory waffle. My family loves waffles. I keep meaning to make sweet potato waffles with grilled chicken. I think the honey dijon dressing would be a great addition. Thank you so much! 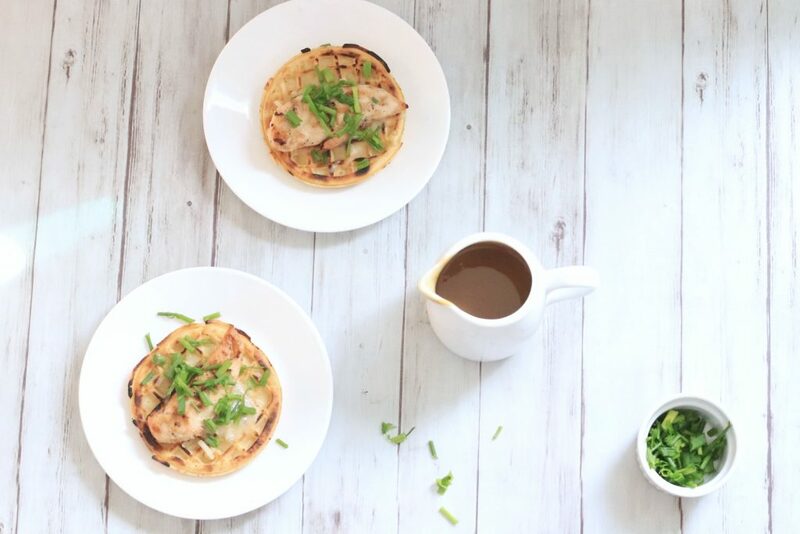 Gotta throw in a savory right😉 Sweet Potato waffles with grilled chicken sound awesome! What a good idea! Yes, I think the Honey Dijon Syrup would be a fantastic add on! A waffle bar is such a great idea! I was planning to serve Mickey-waffles at my twins Disneyland themed birthday party, so why have I never heard of a ‘waffle bar’ before? I think I will do exactly this instead! Thank you! A Mickey themed waffle bar? I can see it now! That would be so cute!! What a great idea! I might use this the next time my daughter has a sleepover. And, everyone in my house knows I love waffles. Have you seen my video on waffles? I even sneak them in the middle of the night. Great post!